OHTOWAˀKÉHSON (Ahdohwahgeseon, Adonwentishon, Catharine, Catharine Brant), head woman of the turtle clan of the Mohawks; b. c. 1759 on the Mohawk River (N.Y.); d. 23 or 24 Nov. 1837 near Brantford, Upper Canada. Catharine was the daughter of a Mohawk woman of noble birth who was probably head woman of the clan in her own time. Her grandmother was Sarah, the wife of Karaghtadie*, who likewise was probably head woman. The position was an important one. With it went authority to appoint or depose the Tekarihogen, the leading sachem of the Six Nations Confederacy, although actual exercise of that authority involved much councilling among all classes of the Mohawks. Catharine’s father was Indian agent George Croghan, but she grew up in a thoroughly Mohawk environment and throughout her life preferred Indian ways. She understood English but declined to speak it, even in later years. On at least one occasion she wrote her name, spelling it Katerin, but she also signed by mark. 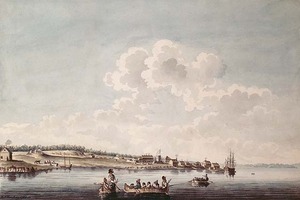 By 1779, during the American revolution, Catharine was living at British-held Fort Niagara (near Youngstown, N.Y.), to which many loyalist Indians had fled. 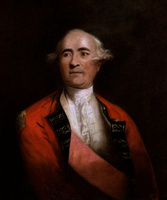 There she married the twice-widowed Joseph Brant [Thayendanegea*], first in the Indian manner and later, in the winter of 1779–80, according to English law. American captives reported that Brant (whose previous marriages had been before clergymen) observed a wedding conducted by John Butler* in his capacity as magistrate and immediately insisted that Butler perform the same ceremony for Catharine and himself. The Brants moved to the Grand River (Ont.) in the spring of 1785, the year after Governor Frederick Haldimand* gave to those Six Nations Indians who did not wish to live in the United States a great tract of land from the mouth to the source of that river. Here, in the best house in the Mohawk village, the couple entertained numerous guests. Patrick Campbell*, a Scottish traveller, visited them in February 1792. He described Catharine as tall, black-eyed, and handsome; richly dressed, she completely outshone two pretty young white ladies who were present. The Brants had several children by this date, and seven in all were born to them. Aristocratic Catharine had much influence among the Six Nations. 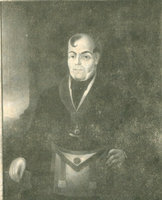 Her views carried weight with Henry Tekarihogen*, her elder half-brother (or possibly cousin), whom she or her mother had appointed head sachem some time before 1787. Her opinions would have counted with the women of the tribe especially, and they were a political force to be reckoned with. 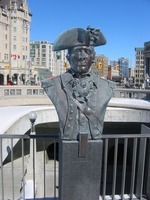 In 1793, when Lieutenant Governor John Graves Simcoe* of Upper Canada refused to give the Six Nations an unrestricted deed to the Haldimand grant so that they could sell land, Joseph Brant was extremely displeased. There followed a great tumult on the Grand River; the women met in council and charged their warriors to defend their land. It is impossible not to see Catharine’s hand in this incident and in another one a few years later, in May 1802, when the women of the tribe apologized to Brant for their part in dissensions that had almost brought about his assassination. Dissensions continuing, the Brants soon removed to what is now Burlington, at the head of Lake Ontario, where in a white neighbourhood Joseph had built a substantial house, sometimes called a mansion, on a property of about 700 acres. Joseph aspired to a genteel English way of life. Catharine evidently did not care. Although the family had servants, she did not hesitate, when she needed water, to send her little son John [Tekarihogen*] to fetch it, and she was known to set her white cat on the corner of the table during dinner and pour it a saucer of milk. Sophia Pooley, née Burthen, a slave of the Brants when she was young, recalled being beaten by Catharine, “who would tell me in Indian to do things and then hit me with any thing that came to hand, because I did not understand her.” After an incident in which she had cut the girl’s face with a knife, Joseph punished his wife “as if she had been a child” on his return home. After her husband’s death in 1807, Catharine returned to the old home on the Grand River. For many years a Brant party and an anti-Brant party survived among the Indians there. Henry Tekarihogen, and no doubt Catharine, too, tried to carry on Brant’s political and economic policies. They long persisted in claiming for the Indians the lands along the upper reaches of the river (denied through a defect in the grant) and in trying to get an unrestricted deed. On Henry’s death in 1830, or perhaps shortly before when he became totally blind, Catharine named her able son John as the new Tekarihogen. Following John’s death from cholera on 27 Aug. 1832, she named the infant son of her daughter Elizabeth as head sachem. Catharine was an industrious housewife, an earnest Christian. It is reported that in later years she could be seen every Sunday at the Mohawk chapel “dressed in a black velvet skirt, black silk over-dress, a black cloth blanket and black velvet cap with a fur band.” Reflecting perhaps on the strange events of her own life, she often told her children that none can know what the future holds. She died exactly 30 years after her husband. AO, MS 148, sect.i, Brant family; RG 22, ser.204, will of Catharine Brant, proved 27 April 1839. PAC, MG 11, [CO 42] Q, 312-1: 18–19. Wis., State Hist. Soc., Draper mss, 13F25, 13F31, 13F58, 13F94, 14F63, 21F16. James Buchanan, Sketches of the history, manners, and customs of the North American Indians with a plan for their melioration (2v., New York, 1824), 2: 36. 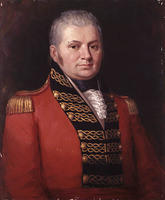 Patrick Campbell, Travels in the interior inhabited parts of North America in the years 1791 and 1792 . . . (Edinburgh, ), 190–91. W. W. Campbell, Annals of Tryon County; or, the border warfare of New York, during the revolution (New York, 1831), app., 16–17. Corr. of Lieut. Governor Simcoe (Cruikshank), 2: 115. [Thomas Douglas, 5th Earl of] Selkirk, Lord Selkirk’s diary, 1803–1804; a journal of his travels in British North America and the northeastern United States, ed. P. C. T. White (Toronto, 1958; repr. New York, 1969), 161. The refugee: a north-side view of slavery, comp. Benjamin Drew, intro. T. G. Edelstein (Reading, Mass., 1969), 135–37. Valley of Six Nations (Johnston), 297. W. L. Stone, Life of Joseph Brant – Thayendanegea (New York, 1838), 2: 463, 500, 535, 537. 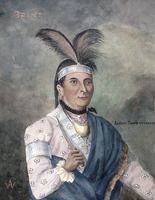 Isabel Thompson Kelsay, Joseph Brant, 1743–1807, man of two worlds (Syracuse, N.Y., 1984). A. I. G. Gilkison, “Reminiscences of earlier years in Brant,” OH, 12 (1914): 81–88. Isabel T. Kelsay, “OHTOWAˀKÉHSON,” in Dictionary of Canadian Biography, vol. 7, University of Toronto/Université Laval, 2003–, accessed April 25, 2019, http://www.biographi.ca/en/bio/ohtowakehson_7E.html.